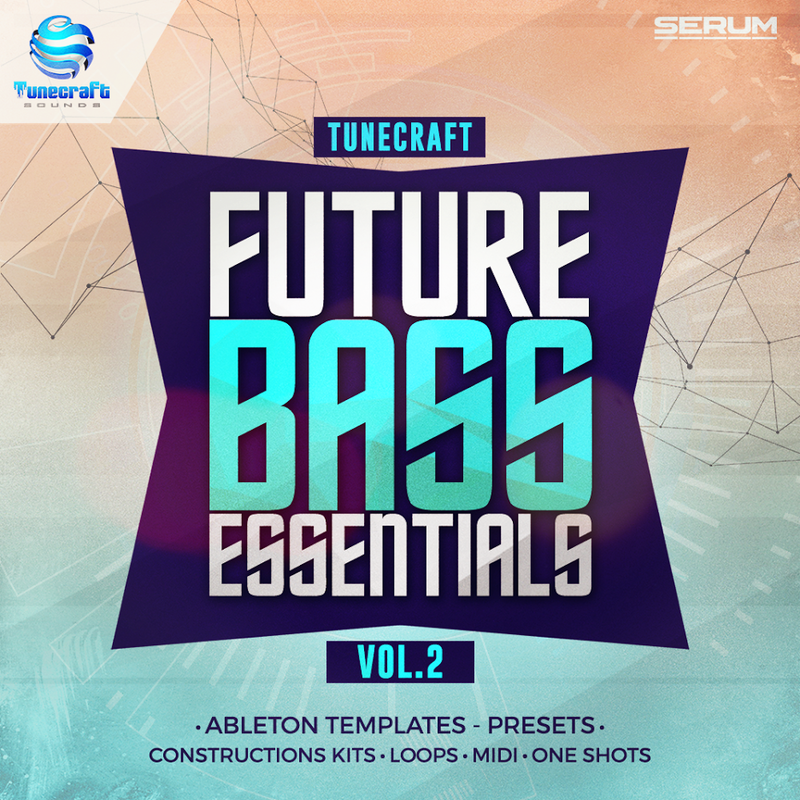 We’re proud to unveil Tunecraft Future Bass Essentials Vol.2 ! If you’re after the futuristic sounds of 2017’s genre leading artists like Illenium, Gryffin, San Holo, Chainsmokers and such, then look no further ! From DAW templates, Serum presets, construction kits, audio loops, midi files and tons of bonuses this monster pack contains all you need to create chart-topping Future Bass or Chillstep tracks from scratch. First it features a huge collection of 170 Serum presets, expertly crafted to bring you all the hugely popular sounds of Future Bass with no hassle. Also included are 6 Ableton Live templates created for the demo to dig in, help you get creative to start your tracks and check how we used these presets creatively: We’re very sure you will learn a lot from these ! Not an ableton user ? No problem, we also included all preset-labelled midi files as well as 62 audio stems in 6 construction kits to recreate or rework them in any DAW ! Then you will find 120+ midi files including chord progressions and melodic lines to help you find inspiration with your own sounds and fuel your imagination instantly. Finally you can expect to find a vast collection of 130+ audio loops and sounds including rich evolving chords, lush arps, silky leads, punchy snare drums and loops, fresh rolls and fills, and tons of other stuff sized for the genre to add to your arsenal. We made sure pack contents are perfectly organized to make them extremely easy and intuitive to use. So let’s grab this pack and put some future in your bass right now ! Please note that you need Xfer Serum 1.205+ to use the presets and Ableton Live 9.5+ for the templates !